the small pond is along bike/ped paved trail onthe east end of the park. 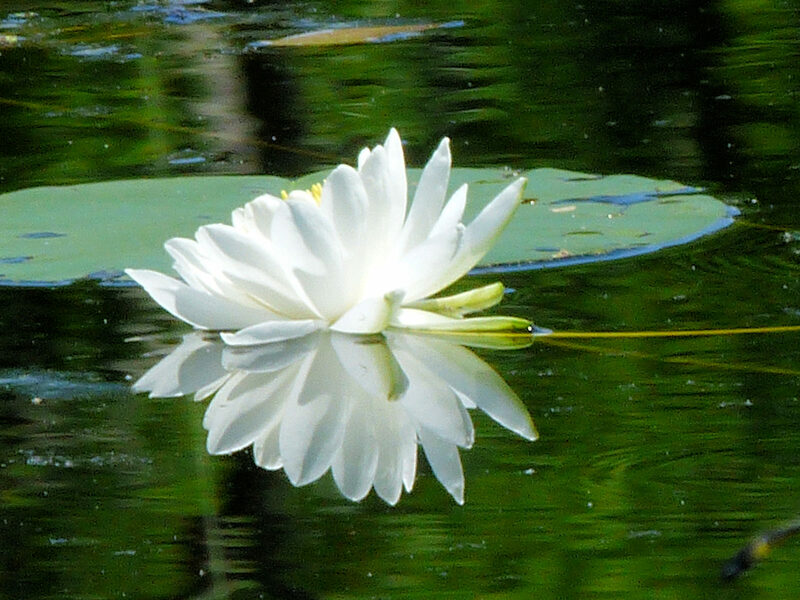 A small pond in Fort Harrison State park has lots of waterlilies in bloom in the summer. The pond surface is quiet and allows for great reflections.